Recently I had an opportunity to do an email interview with executives of Bla Bla car, a ride sharing community which is getting very popular day by day. I had written about my impression/analysis of Bla Bla car in an earlier post, while in this current post shares the questions I put forward to BlaBlacar management and their response. I have tried to retain their response as is, but wherever it is too long, I have tried to summarize/edit a bit. This post will be useful if you are planning to know more about ride sharing services in India or planning to use it for your next trip. Q1: What is the legal status of solutions like BlaBlaCar? Usually Indian laws prohibit commercial use of private properties. If one has to ferry passengers for money, it should be a yellow board contract carriage. If one has to do that with his white board car, is it legal? Does such an income count as 'income'? Is there a sales or service tax involved? For example, there have been crackdowns on residence owners using their property as home stay, paying guest and other commercial use, while paying domestic rates for electricity, gas etc. (Even Singapore had cracked down on apartment owners selling rooms on AirBnB). Please comment. BlaBlaCar: Our members use BlaBlaCar to share travel costs. Our service was not designed for car owners to make a profit from their journey. To ensure that car owners respect this principle, BlaBlaCar recommends a price per seat for every journey. Car owners offering a ride can then fix the price inside the recommended window with a strict ceiling. This is a small contribution towards the car owners’ fuel and running costs (and tolls if there are any). Also, we have conducted requisite legal diligence in India and we follow relevant regulations. SH Comments- My questions were not directly answered, but with the response I assume car owners need not declare the income from blabla car in their IT returns and no need to pay any form of tax on it. Summary: From the response I conclude that BlaBla car will ensure that the service can only be used to recover fuel and toll expense an owner incurs in reaching destination and can't run it as a commercial business ferrying people between cities. Further, owners needn't declare money got from fellow passengers of ride sharing as "income". Q2: What are the safety measures for consumers using this service- particularly for women? BlaBlaCar: BlaBlaCar is a service that’s based on building a trusted community of ride-sharers for city-to-city trips. BlaBlaCar has successfully built the world’s largest trusted community for ride sharing in 19 countries and brings its global best practices to India. With BlaBlaCar, you’re always in control and you decide whom you want to share a ride with. After a journey together, members leave ratings for each other in order to prove their trustworthiness reputation to the community. BlaBlaCar has a rigorous control policy for car owners, and there is an extra layer of ratings from co-travelers for car owners regarding driving skills. Plus, if there is any concern, members can flag another member to our member relations team. We’ve seen that our women members prefer to take inter-city trips with family members or a male companion (husband, brother, friend, etc). This is similar to how women travel inter-city in India through bus, taxi, etc as well. 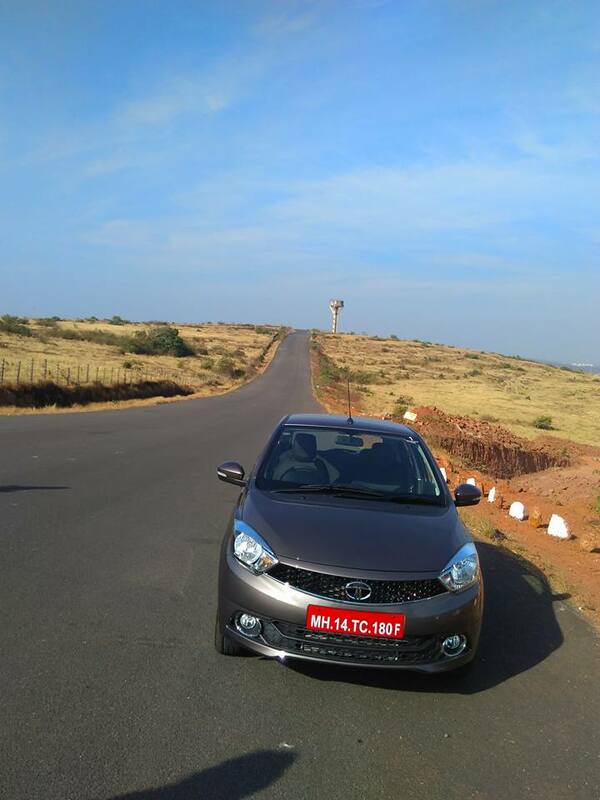 Q3: In a theoretical scenario where car owner had to cancel his trip last minute, how does the process work- to rebook/compensate those who booked a ride? BlaBlaCar: BlaBlaCar is a community-based platform. Given everyday life scenarios of people like us, cancellations do happen for all sorts of reasons. However, when a member tends to cancel trips quite frequently, the ratings system will reflect that experience on a car owner’s profile. In future, when BlaBlaCar introduces its ‘booking’ system in India, we will be able to provide members with alternate options in case the car owner cancels a trip, thereby allowing them to continue their journey as planned. Q4: One of my main concern is lack of standardization in a car's seating. Seat next to the driver in front row is most comfortable. If I have to sit in the middle of second row or side facing last row seats, that will be most uncomfortable seat in the car during long journey. How can a consumer get control over where he gets to seat? BlaBlaCar: As stated earlier, BlaBlaCar is a free of cost community made up of people like you and me (car owners and co-travelers), who can offer rides or search for trips. BlaBlaCar is not a taxi service and does not provide ‘on-demand’ services. Therefore, when sharing a ride as a co-traveler, one needs to be open, adjustable and helpful to ensure that the ride goes smoothly. In terms of the comfort of the ride, the product team at BlaBlaCar is working on building a new feature called ‘comfort plus’. 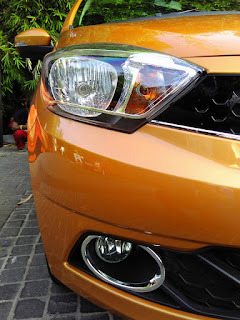 The benefits of this feature are to ensure that there is ample legroom for the co-travelers, the co-travelers in the back-seat aren’t ‘squashed’ and that all big luggage is stored at the back, etc. Q5: If I book a train or bus ticket, confirmation is instant. But in Blablacar, owner should review the request and accept. What is the typical lag time in this process? BlaBlaCar:As soon as a co-traveler contacts a car owner for a trip they’ve posted, they receive an e-mail and an SMS that alerts them that a BlaBlaCar member is trying to contact them. Depending on the individual’s availability and the closeness of the date of travel, people respond accordingly. As a co-traveler, you can view the response rate of the car owner before you reach out to them. The good thing about BlaBlaCar is that it fulfills last-minute travel plans because car owners are constantly creating new trips. Q6: Please explain what kind of background checks/fraud prevention steps are in place to prevent abuse of this system, which is supposed to help car owner recover their cost of travel and not really treat it as revenue generating business. BlaBlaCar: BlaBlaCar is a community-based platform meant for people to share rides, save fuel costs and have an enjoyable experience. The community at BlaBlaCar is made up of people like us, and not professional drivers or taxi services. To ensure that we keep our community ‘clean’ we have a Member Relations Team that continuously monitors the profiles of users and filters them out basis several criteria such as: authentic profile photo, genuine trip comment and bio, calling members in case some data needs clarification, etc. We continue to add various trust & safety layers as per feedback of our members in a given country and will be doing the same in India as well. Q6: I understand majority of the usage has been for intercity rides. Is BlaBlacar being also used as car pooling tool for daily office commutes? BlaBlaCar: BlaBlaCar is a ride sharing service that enables users to pick point A and point B destinations on Google Maps. Therefore, our members can decide the length of the journey and this can be any length. However, after incorporating the best practices for ride sharing through our global presence, we found that ridesharing on BlaBlaCar works best for long journeys (between one to ten hour trips). Q7: Please talk about your current team and expansion plans for near future. BlaBlaCar:There is a dedicated team for BlaBlaCar operations in India and we work closely with our international offices. We will expand our team presence in India as our service grows in India. Summary-A generic response. I see that no specific numbers/details shared. Fine. Q8: Who decides the pickup and drop off sequence? say in Bangalore if there're 5 passengers one each heading to Airport, Electronic city, Whitefield and Mysore road (all different parts of the city), person who gets dropped off last will have to wait at least 2-3 hours more compared to person who was dropped off first. Will passengers have a say in this? BlaBlaCar: Unlike a taxi service, ridesharing on BlaBlaCar is based on mutual agreement and the convenience of everyone involved. Therefore, it’s best to discuss the route with the car owner beforehand. The way it works on BlaBlaCar for a car owner posting a trip: enter the start and end points of the trip, then add stopover points that follow the pre-defined route between point A and point B. This helps co-travelers view the route that has been planned beforehand, therefore avoiding any last minute confusion. Q9: Are you thinking of concepts like surge pricing wherein owners can increase quote based on demand and make more money? BlaBlaCar: BlaBlaCar is a ride sharing concept that enables private car owners to share a ride with people looking to travel the same way. The price is fixed prior to the trip, which is usually posted days in advance. Concepts such as surge pricing arise when commercial vehicles are involved, which is not the case for BlaBlaCar. Summary- that is good. Even if there is high demand, owners should charge within the ceiling set by Blabla car. BlaBlaCar:People who sign-up on BlaBlaCar are usually looking to travel city-to-city at the last-minute. Given the unavailability of train tickets at the last minute and overcrowded buses, BlaBlaCar is a great option for those who need to travel affordable, comfortably at the last-minute. 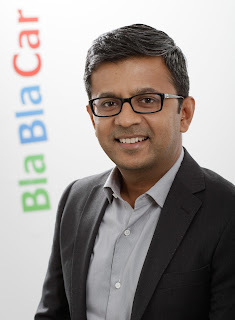 Below is a brief profile of Raghav Gupta, as provided by BlaBlaCar. Raghav is leading BlaBlaCar’s launch in India and shaping the company’s value proposition for this large and exciting market. Raghav believes in applying a global approach to bringing the best global practices with a strong local proposition to the Indian audience. Raghav started his career in the fashion business and then spent a number of years working in management consulting as a consumer & retail expert in India, Europe, the US and the Middle East. Nice questions and answers explaining how its different from other car travel companies.